Bottoms Up: Draft Beer. Warp Speed. Bottoms Up is the revolutionary new way to serve beer! 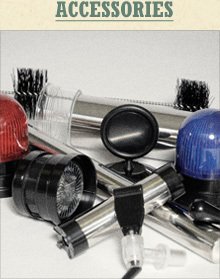 The Bottoms Up system saves time, eliminates waste and awes customers! 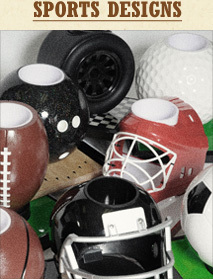 The system utilizes cups or Beer Tubes with holes in the bottom that are sealed by a magnet. 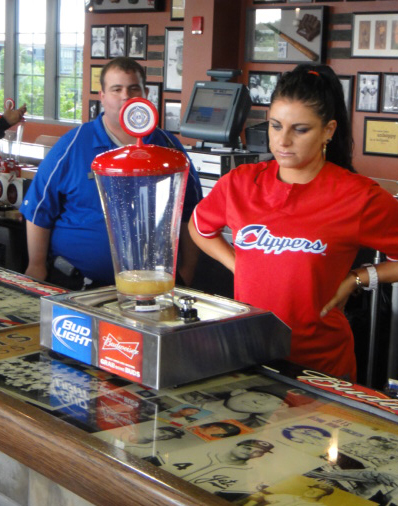 When the cups are placed on the Bottoms Up dispenser, beer rushes in, filling the cup perfectly without spilling or overflowing. When the cup is lifted and removed from the dispenser, the magnet seals the bottom and the drink is ready to be enjoyed. Servers can simply place the cup on the Bottoms Up system and it takes care of the rest! 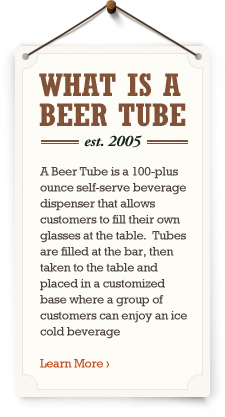 This allows servers to take other orders and ring customers out while the Bottoms Up system fills the specially designed cups or Beer Tubes. By removing the human error of filling cups and Beer Tubes, less beer is wasted, increasing your profits substantially. 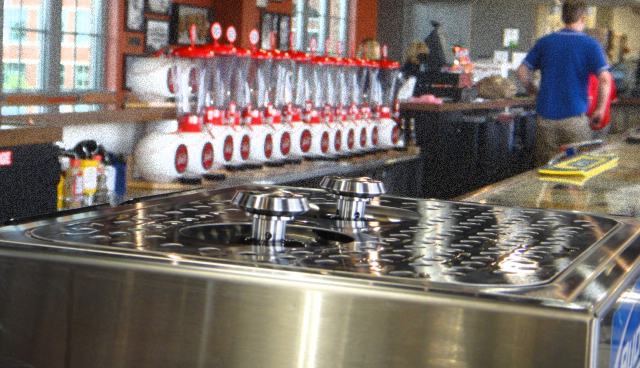 Bars and restaurants typically witness a 95% or higher keg yield when using the Bottoms Up system. 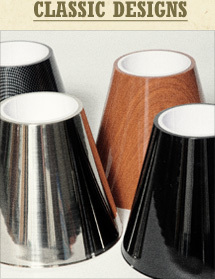 Bottoms up increases efficiency, profits, and excitement while reducing waste. 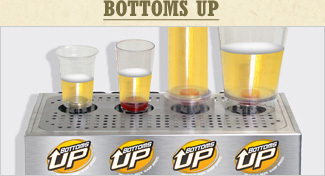 Beer Tubes is proud to carry the Bottoms Up system to continue to fulfill our goal of helping bars and restaurants make more money while improving customer satisfaction. 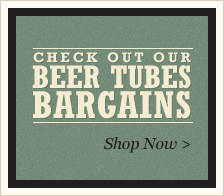 For an instruction sheet on filling a Bottoms Up Beer Tube, please click the following link: How to Fill Bottoms Up.